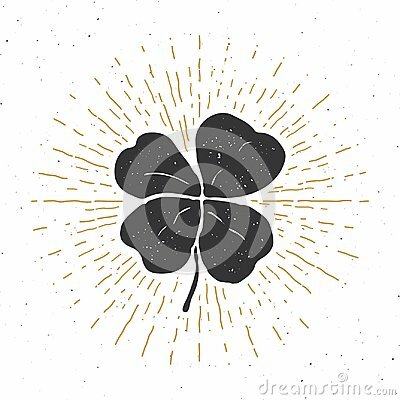 Vintage label, Hand drawn lucky four leaf clover, Happy Saint Patricks Day greeting card, grunge textured retro badge, typography design vector illustration. Monogram logo design.Vector logo design monogram concept. Crown Icon in trendy flat style. Monarchy authority and royal symbols. Monochrome vintage antique icons.